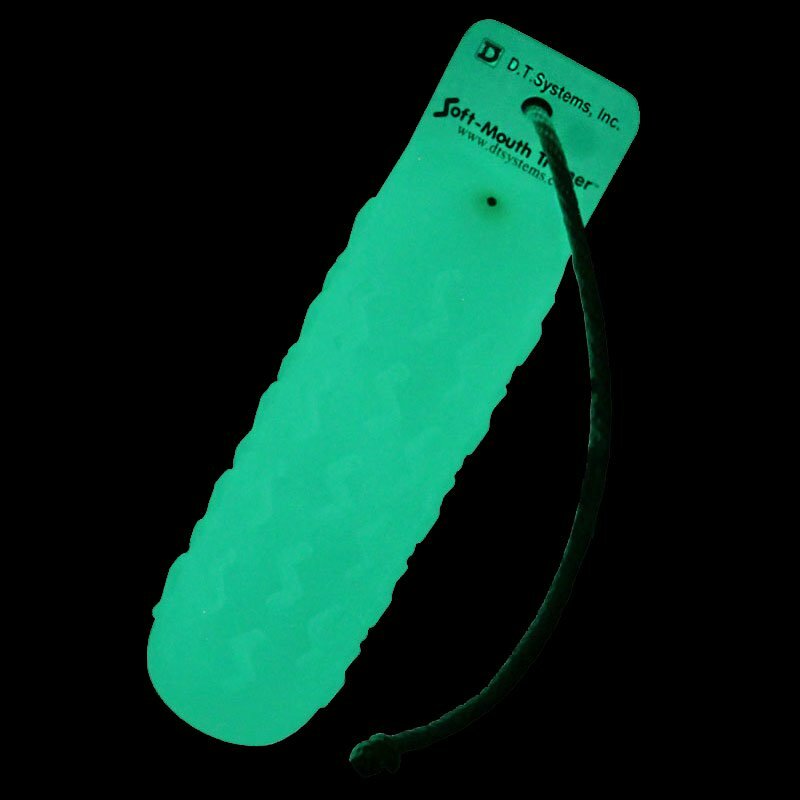 "Classic" Soft-Mouth Trainer Jumbo Dummy from DT Systems. $11.99. "The yellow is highly visible for humans and canines." Rugged, easy to throw a long way. Adjustable softness is also great, and the yellow is highly visible for humans and canines. "The dogs, especially pups/younger dogs seem to prefer its texture over other bumpers." Nice bumper with a softer yet still firm feel to it. The dogs, especially pups/younger dogs seem to prefer its texture over other bumpers. 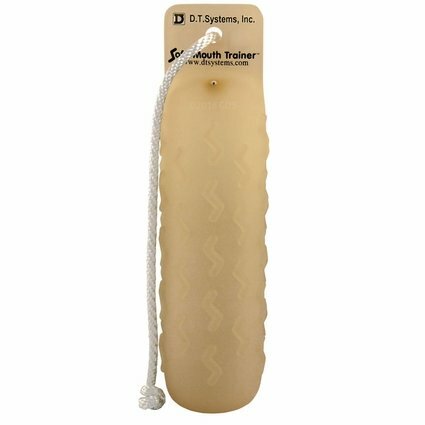 The DT Soft mouth dummy is an awesome training tool. Living in Minnesota, I can attest that they work excellent in the cold. I had a difficult time getting my dog to hold the harder dummies, but she doesn't have any issues with the DT soft mouth dummy. Dog loves it. Typical lab - would rather retrieve than eat. She loves this dummy. She was naturally a soft mouthed retriever, and I want to keep her that way. I use both the jumbo and the regular. Great quality, and quick delivery. Love these bumpers! Only annoyance is if they get chomped on they have to be inflated again. We use ours for dock diving so they get chomped on regularly when the dogs catch them in the air. Great bumper - holds up fairly well. I've tried all kinds of buoys for training dogs. This holds up the best and it is adjustable by inflation. Very good construction and floats very well in the water. Yellow color works the best for all dogs to locate. Bought this one for summer and spring to use in the water. I have used it in the snow, it doesn't seem to get hard in the cold weather and I just hit it against the tree to knock the snow off. We love it. Can't wait to see it in the water. Great durable training dummy. My dog has a soft mouth, and she works great with these carrying them comfortably. Thanks for the replacements. It must of been a bad mix of the rubber / plastics with those two dummies. They get used twice a day for an hour apiece. Holding up strong like the previous ones I bought. "My dogs love the yellow dummies for some reason." My dogs love the yellow dummies for some reason. The best bumper from all the rest, by far! Love, Love these bumpers!! So much softer and more flexible than anything I have had before! Very well made. Our dog can pick the dummy up and bring it back. Color is the best (yellow and orange). "I will only buy from Gun Dog Supply." I will only buy from Gun Dog Supply. It's the best! This is an excellent bumper! Very soft which is great for our northern temps, yet extremely durable. I had previously used Neumann & Bennetts which I also like because they are easy on the dog's mouth when cold, but these are even softer and easier to hold with the "V" ridges instead of nubs. Highly recommended! I live in the NY and our cold weather can make bumpers very hard and tough on the dog's mouth. I had been using Hallmarks for years and I recently bought some more only to discover that the material they are now using is thicker and too hard during cold weather. My other two options for softer bumpers were the time-tested Nuemann and Bennets, or the DT Soft Mouth. One of my training partners had many of the N&B's (which are outstanding), and the helpful folks at GunDogSupply said that the DT's were even softer than those, so I opted to give the DT's a try. Without a doubt these are the best bumpers I have used. Very soft and durable. I also love the ridges as opposed to the knobs on the N&B's and many other bumpers. The small internal valve on the DT is also great, so there is nothing to break or bite off. My training partners loved these after seeing them and will be ordering some soon also. Decided to write a review here since I had a hard time finding information on them when I purchased. Thanks again to the folks at GunDogSupply for recommending these to me! Excellent Bumper. My pups are able to pick up this bumper and hold them easier than most other jumbo dummies. This is my for Chesapeake's use only. When it comes out, it's time to work :-). When we're done with retrieving, back it goes. So, he has a special fondness for it. Quality product, & the dog loves the thing! Great product. I have five of these now. Very durable, and my GWP loves them. "The only bumper found so far that is tough enough." My lab is very hard mouthed and most bumpers come back crushed cracked and missing chunks. "Just right as for as softness and is still durable." This is a great bumper. My dog was bad about being mouthy with the harder bumpers despite extra training on holding. I which to these larger and softer bumpers and don't have any more problems. I found this to bumper to be just right as for as softness and is still durable. "The best bumpers we've used so far"
These are the best bumpers we've used so far. The soft bumper helps them learn to not bite down hard and also is much easier for them to hold . Just the right feel. Dog knows this is for business, but loves to bring it back. These bumpers are very well made. The softer design and the raised ribs make the bumper much easier for the dog to hold. This along with the larger diameter really helped my dog develop a better hold. Rope knots pull through the hole. Plastic has started to tear at the top. Air leaks out. Other than that, they work. Not worth the extra money. My dog crunches them more than regular bumpers/dummies. When retrieving or picking up a Soft-Mouth Trainer your dog does not have to bite down hard like they would with conventional plastic dummies. These dummies are made with softer, more pliable plastic materials which give them the soft, supple feel of a real bird's body. With the exclusive, non-slip, "SGrip" Technology design, the dog's eye teeth lock firmly into the curves of the dummy's exclusive patterns. The advanced design prevents slipping when a dog is grabbing or gripping and lets him use less downward pressure. The D.T. 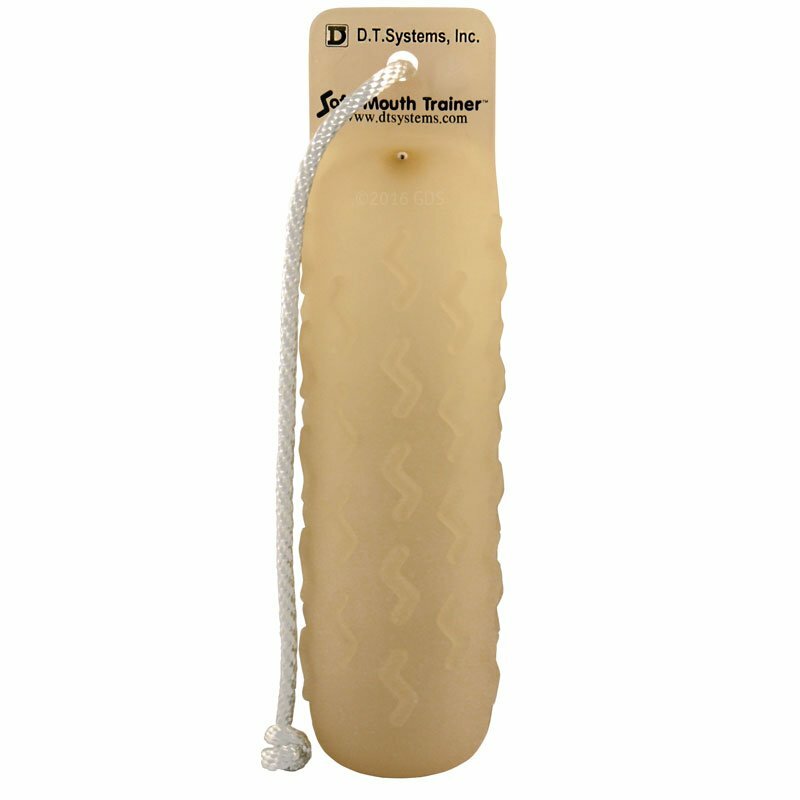 Systems Soft-Mouth Trainer teaches your dog, over time, to use a softer, gentler grip. The Soft-Mouth Trainer also has a specially designed adjustable pressure valve system which won't pull out or let water leak in like other brands. The easy to use needle style valve allows you to quickly let air pressure in or out to the make the dummy harder or softer or even to flatten the middle for more customized training.